Click here for our video! BRTP twins book ORDER or PLEDGE! Babynizer, baby planner and maternity concierge. Babynizer helps mums-to-be get organised before their baby arrives. From essential item picking to nursery set up, we offer a wide range of services. Luxury pre-packed hospital bags also available. I cannot recommend Hayley, who runs Baybiz jointly with her husband Adam, highly enough. I strongly feel that expectant couples would benefit hugely from a consultation with Hayley, no question about it. Baybiz is a shopping service offering expectant parents personalised attention for all nursery needs. Experienced staff take you through a suggested baby-shopping list, offering tailored advice on how to shop for your new baby. There is NO consultancy fee and Baybiz delivers, for free, all your nursery shopping to your door and has an unpacking and assembly service. The warehouse is situated in North London and has on-site parking. Expecting parents who attended my course wrote “I just wanted to thank you so much for your Babybiz recommendation. We met Hayley yesterday and have ordered with her. Having been to ……..and seen what level of service they provide, going with a smaller business with a much greater level of customer service and product knowledge was an easy decision to make!” Email: info@baybiz.co.uk Tel: 020 8203 3377. 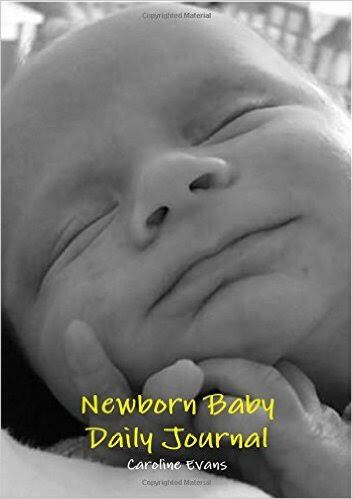 This is a log book to help you keep a record of baby’s feeding, sleeping and day to day life. Charting these things can help you to discover and track changes in baby’s natural routine should you so wish. The journal can be a really helpful handover tool if several people are involved in looking after baby and can be useful to remind you of what has been happening when the midwife asks. It is also a lovely keepsake of baby’s first weeks. A6 format. 100 pages. Rachel & Jason Heller are the founders of huggle and live in London with their 2 children, Maya & Samuel. Following a period living in Canada, they were both impressed at how well new parents and their kids were catered for there. Great retail store environments with modern, stylish, healthy product and knowledgeable customer service with a smile that put us Brits to shame! On returning to London with a newborn daughter they became progressively more frustrated by the array of disappointing products and services on offer. Combined with poor retail customer experiences and disappointing local activities in spaces that weren’t fit for kids, it made them determined to challenge the status quo and introduce a new approach for parents who weren’t prepared to compromise. With 4 years research, many long hours spent sourcing new products and more than just a couple of arguments on route, they have finally embarked on the launch of huggle in London which offers the healthiest, most innovative products in nursery furniture, baby gear and more. Tel: 020 7483 2826 Address: 8-10 Winchester Road, London NW3 3NT. What makes our courses unique? Feed your microbes – you are what you eat? How do you pick an antenatal course? Double Trouble, help is at Hand! Is follow-on milk really necessary? Is facebook the new health visitor? The Radlett Centre, Radlett, Herts, WD7 8HL | Finchley, North London, N3.